Keeping drinks hot or cold for hours. 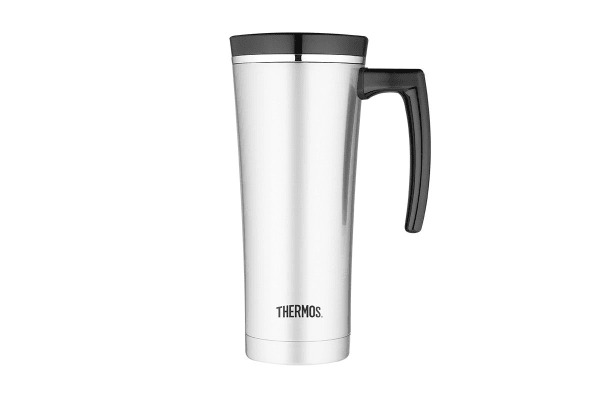 Durable and fully functional, the Thermos Sipp 470ml Vacuum Insulated Travel Mug is equipped with Thermos vacuum insulation technology that provides maximum temperature retention, hot or cold. Comes with a convenient handle and a leak proof lid, the Thermos Sipp 470ml Vacuum Insulated Travel Mug is the perfect size for your morning beverage.